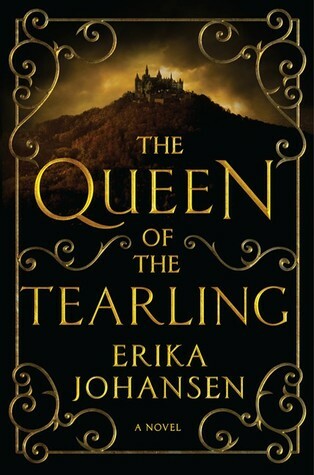 Queen of the Tearling is the first book in a fantasy trilogy by Erika Johansen. 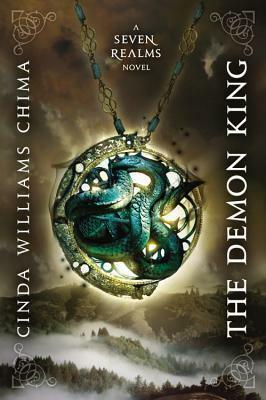 I really enjoyed it, read on to see my review. 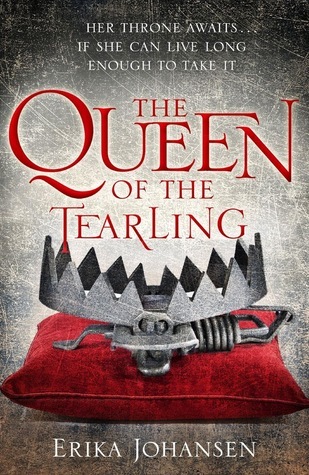 Queen of the Tearling is about a young girl called Kelsea who is thrust into a position on the throne in the middle of a period of struggle for the country. She has grown up knowing that she will become queen and has been very well educated but has been hidden away from the world. There is one gap in her education which is what has been going on in the kingdom for the past few years, this information has been kept from her. Once Kelsea finds out what is going on she has a massive choice to make that will impact how her kingdom views her forever. There are several other key players looking for power and Kelsea has to navigate through the unknown and make the best decisions to keep her people safe. The kingdom isn’t in a good place so she has to act fast, however attempts on Kelsea’s life threaten to undo all the good choices she has made. 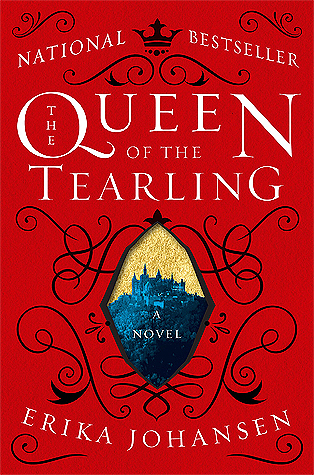 Here are the three covers I could find for Queen of the Tearling. Of these three covers it seems that the one of the left is the most commonly used. I bought my copy of this book at a second hand store so I have the one on the right which I think is an older one. I actually like the one on the right better, I like how it’s a crown but also a trap because that perfectly represents what being the queen is like in this book. The cover on the left is also very pretty however the one in the middle is a bit boring and doesn’t represent what the story is about that well. This book was slow to start but I can see why that was necessary. Once the book got into things I was very engaged in the story despite the pacing still being slow. I found that it was difficult to distinguish all the guards from one another which made some of the dramatic reveals have less impact. I also felt like having the story told from three perspectives wasn’t used to its full potential. I enjoyed this book but I feel like it’s more to do with it being the sort of book I like rather than it being a great book. I liked that Kelsea had to make difficult decisions about the kingdom, and honestly I wish the whole book was her changing the social mindsets of the people and improving their lives – but I guess that wouldn’t be super interesting. I also felt a bit of distance to the characters apart from the point of view characters and Mace (or whatever his other name was, make up your mind and use only one name). At the beginning of every chapter there is a little exert from a poem or text book written about the time that the book is set in. I found these really interesting but they also gave away a lot of things. I think it would have made for a better story if they were a bit less spoilery because all I get is that Kelsea is the chosen queen and she is going to change the kingdom so much etc. I thought the point of the book was for me to figure out if I thought that Kelsea would be a good queen so… But I did like this book. 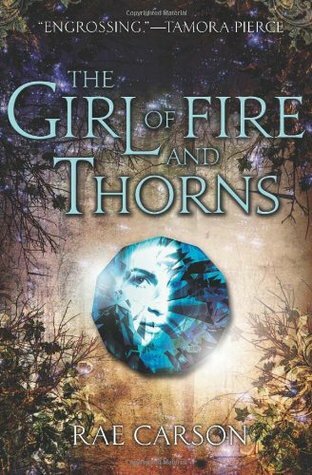 I did really enjoy this book and I do plan to pick up the rest of the series but the book hasn’t hooked me as much as some other do. I don’t feel like I need to pick up the next one as much as I do with other books so it might be a while. The book worked to have a clear plot while also setting up events for later on in the series which can be difficult but was done well. I was really intrigued by most of the characters. The leader of one of the nearby countries was POV character but we still didn’t find out much about her in this book. 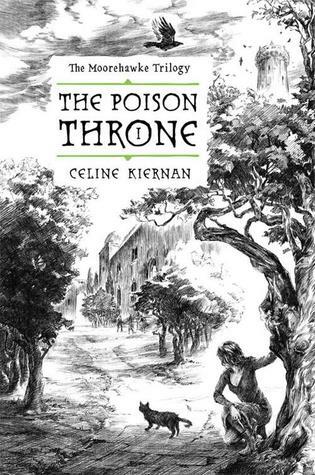 I want to know more, especially considering most of the bits in her POV were so much darker than the rest of the book. One of gate guards was also a POV character and I really liked his character but I was also quite confused as to why he was in this book. He wasn’t really that important, but hopefully later. There was a robin hood type figure who was really interesting but we didn’t know what he was up to for most of the book because he was one of the few important characters who wasn’t a POV character. I’m guessing because the author wants the reader to judge whether he’s a trustworthy person or not for themselves. Probably the thing I liked the most about this book was that it did tackle some really important social issues such as domestic violence and personal freedoms. The moral aspect was really present and that is such an important thing to be discussed in books. I like how Kelsea did have such strong morals and she didn’t stand for anything she didn’t believe in even if it posed a threat to herself or how people viewed her. I also really enjoyed how religion was discussed. It wasn’t portrayed as a negative thing, but it wasn’t forced down people’s throats. Most of the highly religious characters were out for personal gain but it was because of the social system, not the religion. It is actually very difficult to find books that have a religious system that feels similar to our own yet isn’t portrayed as a highly negative or highly positive thing. Hey so you probably noticed I’ve got a new review format and I even made some graphics! Hopefully they’re not to blurry, they look a bit blurry to me but maybe that’s just my eyes. I am so proud of myself and having this has made me so much more motivated to write reviews so look forward to a heap more in the future. I’ve been meaning to read this for ages an I’m hoping to get to it soon! I think the left cover is the US hardback, the middle is the new US paperback cover and the right is the UK cover. I could be wrong about the US two, but I’ve definitely seen the right one in UK shops. Glad to hear you liked the book and I hope you enjoy the rest of the series! That would make sense about the covers. Hope you enjoy it too. I hadn’t seen that third cover before. It’s interesting visually, but not really aesthetically pleasing. The middle one is kind of generic. I totally agree with you that the middle one is very generic. 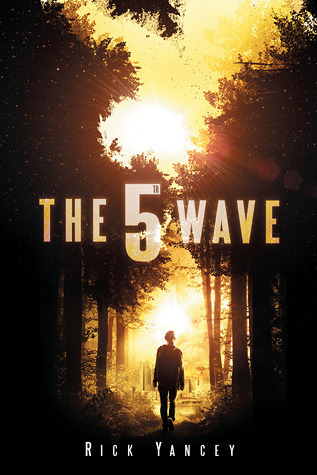 I didn’t like the third cover at first but it grew on me when I was reading the book.